PARKIN, EDWARD, priest of the Church of England, office holder, and teacher; b. 6 Feb. 1791 in Otley (West Yorkshire), England; m. 15 Sept. 1814 Sarah Cullen, and they had at least seven children; d. 30 Jan. 1844 in Fiddington (Market Lavington), England. 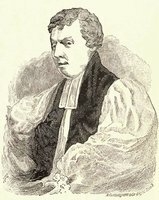 The son of a clergyman, Edward Parkin was ordained a deacon in the Church of England in May 1814 and a priest on 22 December. He taught school until a publication of the Society for the Propagation of the Gospel, outlining the spiritual needs of the colonies, induced him to apply for service in the Canadas. Accepted, he was sent to Quebec, where he arrived on 3 Sept. 1819 with his wife and two children. On 8 October Parkin was licensed by Bishop Jacob Mountain* to minister at Chambly. The previous August a meeting of British residents there, guided by the Reverend Brooke Bridges Stevens*, had decided to build an Anglican church. 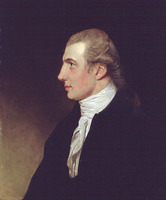 Parkin and five lay leaders, notably Samuel Hatt, undertook the execution of the project. A contract was signed with François Valade in February 1820 for construction of a stone church with projecting chancel and graceful spire, and land for it was granted by the administrator of the colony, Sir Peregrine Maitland*. Parkin preached at the laying of the cornerstone on 11 May and barely six months later led the congregation in prayer at the first service in St Stephen’s Church. The parish was erected civilly, with Parkin as rector, on 30 Sept. 1823. Parkin was also chaplain to the garrison at Fort Chambly and ministered to surrounding settlements. At Yamaska Mountain (Abbottsford) he encouraged the building of a church and served the congregation until the arrival of the missionary William Abbott in 1824. Parkin had brought with him to Lower Canada a penchant for education, both general and religious. Either shortly before leaving England or soon after arriving at Chambly, he had had published in London Ten sermons doctrinal and practical; he wanted the profits, if any, to be applied to the construction of St Stephen’s. He organized school classes in Yamaska Mountain and Rougemont as well as in South West River (Sainte-Brigide-d’Iberville) and Mount Johnston (Mont-Saint-Grégoire), where in 1824 he was appointed a commissioner for the erection of schools. He had begun a school in Chambly by 1821; by August 1826 he had a stone school house under construction there, and in October he was appointed a commissioner to oversee its erection. One year later some 40 children were attending classes in it under the aegis of the Royal Institution for the Advancement of Learning [see Joseph Langley Mills*]. In all, Parkin later estimated, he spent some £1,750 of his income on the construction of churches and schools in the colony. He also tutored; among his pupils were William King McCord* and sons of the prominent Montreal merchant George Moffatt* and of the hero of Châteauguay, Charles-Michel d’Irumberry* de Salaberry. By 1827 he was preparing two students for holy orders and apparently laying the basis for a seminary. However, Mountain’s successor as bishop, Charles James Stewart, preferred to confide the seminary to a young Oxford graduate, Joseph Braithwaite. To make way for Braithwaite, in the summer of 1828 Stewart removed Parkin to St Catharines, Upper Canada, where the people had long been requesting a missionary and where Parkin had visited in 1827. Within a year of his arrival, however, rocked by the death of a child and the effects of a fever that raged in the Niagara area, Parkin was obliged to accompany Stewart back to Lower Canada. 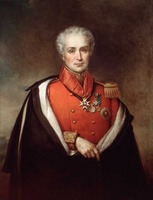 To take the sea air he went along with Stewart in July and August 1829 on the bishop’s pastoral visit of the Gaspé and on a social visit to Nova Scotia. After their return to Lower Canada Stewart appointed Parkin to Sherbrooke and Lennoxville. Learning that an experienced teacher and Chambly parishioner, Mrs Mary Adelaide Tierney, was in financial distress with her large family, Parkin invited her in December to open a girls’ school in Sherbrooke. That month, however, Stewart reported to the SPG that Parkin had become “deranged in his mind,” and in March 1830 he resigned his charge and his position as missionary of the SPG. Early in April he announced the imminent publication of an essay on the Eastern Townships and an autobiography, but neither appeared. 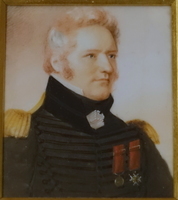 By the summer of 1830 he was able to be reappointed to Sherbrooke, but he again suffered fits of insanity and Stewart forced him to retire on 1 Oct. 1832. After publishing his valedictory sermon in Montreal, Parkin took up teaching in Vermont. Unable to continue, he was obliged to leave his family there and return to England in 1833 to seek another posting or a pension. A petition to the government went unanswered, however, and in March 1834, embittered by his forced retirement and distressed by his mounting debts, Parkin pleaded with Colonial Secretary Edward George Geoffrey Smith Stanley for a rapid response, invoking his “mind naturally sensitive, and certainly not strengthened by the unutterable tortures to which it has been subjected for the last four years by the measures pursued towards me by my late Diocesan.” Thanks to a recommendation from the SPG, he was finally awarded a pension of £100, and in 1836 he served for a time as a curate in Wiltshire. That April, with growing political conflict in Lower Canada preoccupying the Colonial Office, Parkin offered an unsolicited plan of “pacification” of the colony to a successor of Stanley, Lord Glenelg. It proposed concession to the House of Assembly of all but the territorial revenues of the crown (combined, if necessary, with reinforcement of troops in the colony), eventual exclusion of the French language from the legislature and the judiciary, massive government-sponsored immigration from Britain to the Eastern Townships, and commutation into freehold of lands held in seigneurial tenure. All were measures that had been suggested by others. Parkin was more original, at least for an Anglican, in proposing that the Jesuit estates fund be used exclusively to establish a college under the patronage of the governor and the co-presidency of the Roman Catholic and Anglican bishops, the moderator of the Church of Scotland, and the colonial head of the Wesleyan Methodist Church. Each of the four denominations represented would have its theological department, but otherwise teaching would be non-sectarian. Meanwhile, Parkin’s family had returned to England, but in 1837 his wife left him. He spent most of his time thereafter in mental institutions; at his death in 1844 he was residing in the Fiddington asylum. A son, John Buckworth Parkin*, became a noted criminal lawyer at Quebec and another, Edward Cullen, an SPG missionary in the diocese of Quebec from 1845 to 1890. The graceful church erected at Chambly, now designated an historical monument, still serves for worship and bears witness to the efforts of Edward Parkin and his people. Edward Parkin is the author of Ten sermons doctrinal and practical (London, n.d.) and Importance and responsibility of the Christian ministry . . . (Montreal, 1832). ACC, Diocese of Montreal Arch., Edward Parkin papers. ACC-Q, 104. McGill Univ. Arch., RG 4, Edward Parkin corr., 1824–28. PAC, RG 68, General index, 1651–1841: 264, 266, 312. PRO, CO 42/255: 249–54; 42/266: 427–28 (mfm. at ANQ-Q). RHL, USPG Arch., C/CAN/Que., folders 373, 474, 501; journal of SPG, 32–36, 38–40, 42–43. St Stephen’s (Anglican) Church (Chambly, Que. ), Minutes, 1819–47; Reg. of baptisms, marriages, and burials. Montreal Gazette, 8 April 1830. A. R. Kelley, “The Quebec Diocesan Archives: a description of the collection of historical records of the Church of England in the diocese of Quebec,” ANQ Rapport, 1946–47: 189, 195, 267. R. G. Boulianne, “The Royal Institution for the Advancement of Learning: the correspondence, 1820–1829; a historical and analytical study” (phd thesis, McGill Univ., Montreal, 1970), 448–58. C. P. C. Downman, A concise chronological and factual history of St. Stephen’s Anglican Church, Chambly, Que. : its 150th anniversary, 1820–1970 ([Montreal, 1970]). T. R. Millman, The life of the Right Reverend, the Honourable Charles James Stewart, D.D., Oxon., second Anglican bishop of Quebec (London, Ont., 1953); “Edward Parkin, first S.P.G. missionary at Chambly, 1819–1828,” Montreal Churchman (Granby, Que. ), 27 (1939), no.6: 16–17; no.7: 7, 19. T. A. Ramsey, “PARKIN, EDWARD,” in Dictionary of Canadian Biography, vol. 7, University of Toronto/Université Laval, 2003–, accessed April 25, 2019, http://www.biographi.ca/en/bio/parkin_edward_7E.html.